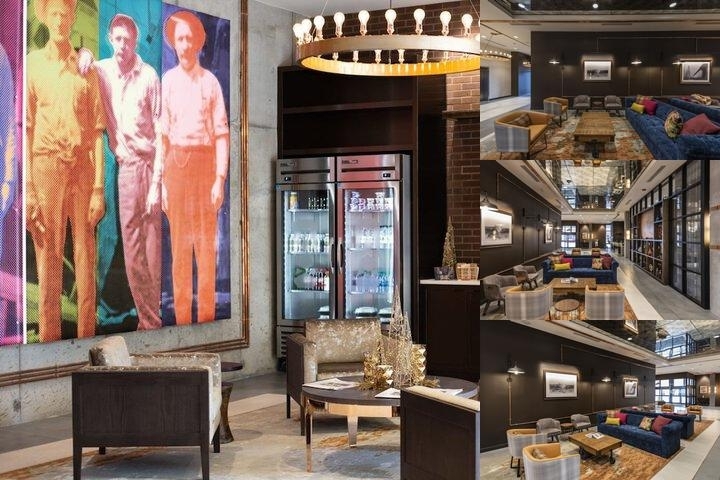 Brand new upscale boutique hotel, built with the history of the area in mind. Full service restaurant, open to the public for breakfast, lunch, and dinner. Rooftop bar opens at 3:30pm each day and is open to the public. Onsite parking offered for $15 per day. Room service available. Breakfast available for purchase at hotel restaurant - Prospect Local Bar and Kitchen. 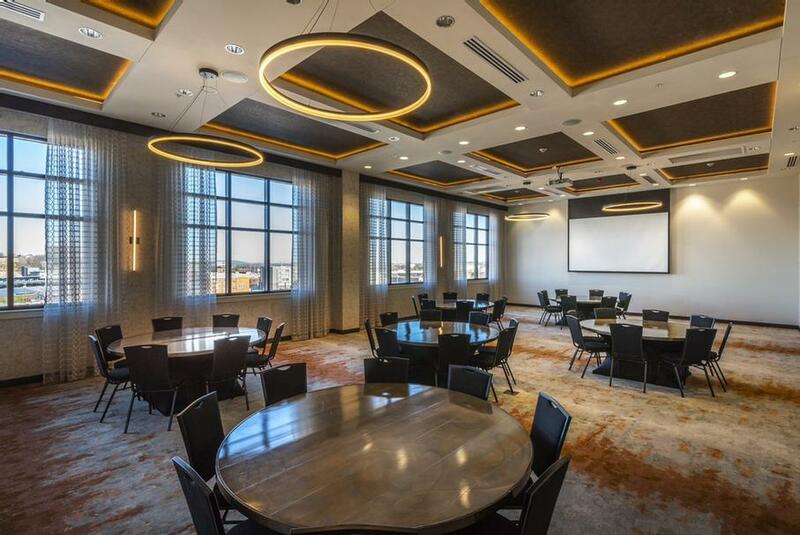 Below are the meeting, banquet, conference and event spaces at Hotel Indigo Tulsa Downtown. Feel free to use the Hotel Indigo Tulsa Downtown meeting space capacities chart below to help in your event planning. 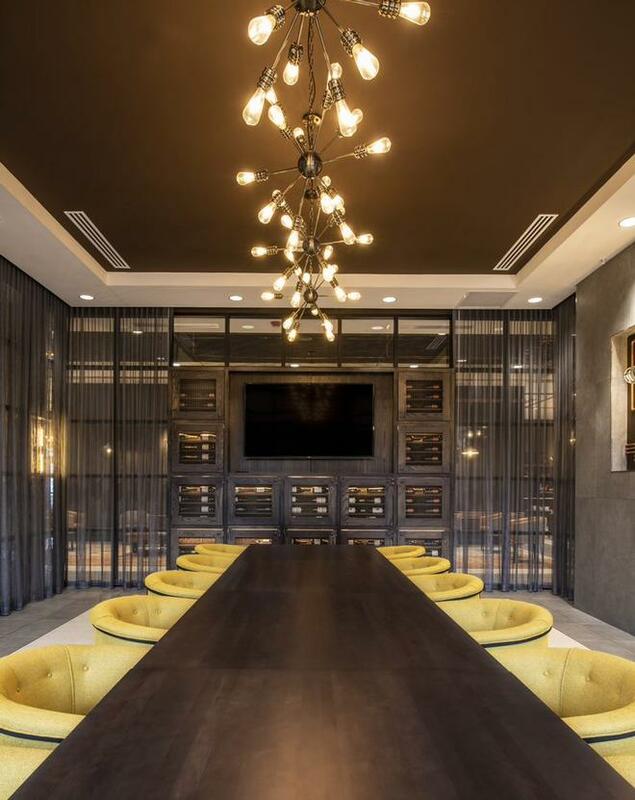 Hotel Planner specializes in Tulsa event planning for sleeping rooms and meeting space for corporate events, weddings, parties, conventions, negotiated rates and trade shows. 55 x 28 x 13 Ft.
Room is standard set with square tables that seat 4 people. Room can be set for meals up to 24 people. 29 x 21 x 12 Ft.
21 x 29 x 12 Ft.